Did you know there are resources for you to take the time to study and grow as a Lao American artist, particularly in the traditional arts? Whether it’s dance, sculpture, traditional weaving, painting, music or writing, in Minnesota, thanks to the Legacy fund and the Minnesota State Arts Board and the Metropolitan Regional Arts Council, there are some amazing opportunities for you. These made it possible for us to bring events such as the Lao American Writers Summit and the Legacies of War: Refugee Nation Twin Cities programs to our community in 2010. Artist Initiative—These are grants for artists at all stages of their careers, to support artistic development, nurture artistic creativity, and recognize the contributions individual artists make to the creative environment of the state of Minnesota. There are different deadlines for the different disciplines, but these are usually due in August and October. They range from $2,000 to $10,000. Arts Learning—These are grants to provide opportunities for lifelong learners to acquire knowledge and understanding of and skills in the arts. It’s typically due in September. These range from $5,000 to $150,000. Cultural Community Partnership—These are grants to enhance the careers of individual artists of color. Artists, at any stage in their careers, can apply for grants to help support collaborative projects. This is due in October. These range from $1,000 to $8,000. Folk and Traditional Arts— These are grants to support the artistic traditions and customs practiced within community and/or cultural groups by identifying, documenting, preserving, presenting, and honoring Minnesota’s folk arts and traditions. This grant is due in August. These range from $5,000 to $75,000. These grants cover class costs, training, and many other costs in putting together arts projects within the state. If you’re interested in the arts and culture and want to follow your passion, check these out. 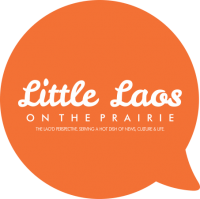 In the coming weeks ahead on Thursdays we’ll look at these and other opportunities that can make a difference in keeping Lao art in Minnesota vibrant and vital! Previous PostFrom Secret War to bombies to 40 years later, came 1MSP.